This page is for those who want the instructions to fold a Four-Leaf Origami Clover with a Flat Base. 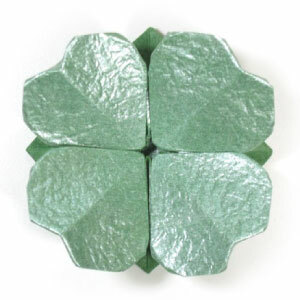 You can make this four-leaf origami clover with a flat base on St Patrick's Day. One special folding technique that you would learn from this model is balloon-fold. 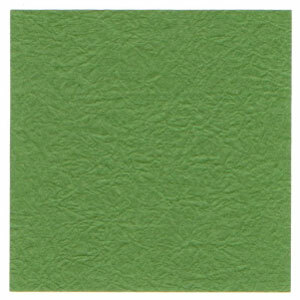 You may use any kind of paper to fold this clover (*it is easier if the front and the back side of the paper are slightly different whether it be in texture or color). Make sure the paper that you use is a square (all sides are equal and all the angles equal 90 degrees). 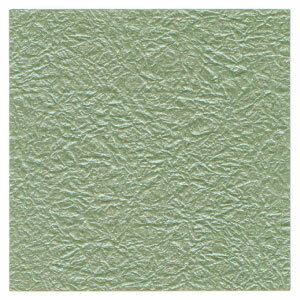 The paper I am using here is 13cm x 13cm square one. If you want to get a real size of origami clover, you need to use a smaller size such as 10cm x 10cm one.